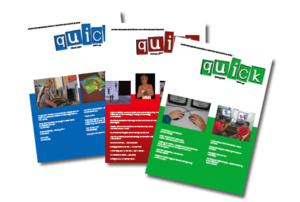 QUICK is a strategic niche advertising vehicle suitable for ICT professional development course providers, educational conferences and events, tertiary institutions and educational ICT product and service suppliers. QSITE’s QUICK journal is available to QSITE personal and institutional members and often becomes a shared publication available to ICT managers, school leaders and other educators who are enthusiastic about ICTs in education. These educators are also keen to learn about further learning and networking opportunities that meet their professional interests. With this audience, QUICK is a strategic niche advertising vehicle suitable for ICT professional development course providers, educational conferences and events, tertiary institutions and educational ICT product and service suppliers. All ads to be in full colour. A pdf journal copy is included with the advertising.